Scrolling through the stories on any news site these days one could be forgiven for thinking that we are living in an increasingly divided and unequal world. It is heartening to hear of millionaires, such as Warren Buffett and the Gateses and Canadian CEO Jim Estill, who want to share their wealth to improve the lives of others. But while a millionaire who thinks tax evasion is ‘smart’ is in control of the largest economy on Earth it still seems to many that a fairer world is more out of reach than it has ever been. The irony is that, while the President of the USA (as well as Brexiteers, Marine Le Pen, et al.) believes that the solution to his country’s perceived financial and social woes is to keep out immigrants – either by building a wall or by stopping them at immigration control – a policy of inclusion could generate greater wealth for all. Contrasting values must be joined and reconciled to make them virtuous. Polarized values are vicious in their mutual hatred. Yet our discredited politicians aid this polarization with their sterile jousting between ideologies. The irony is that those we reject could potentially make us whole, providing the missing pieces of the puzzles. A community is only better off when it creates wealth, that is, when it generates more money among its members than they began with. If money has simply moved from one pocket to another then X may have outsmarted Y but no wealth has been created by that relationship. Competition is important but if this leads to a zero-sum game – wherein gains and losses total zero – then there is no gain for the society or the economy. 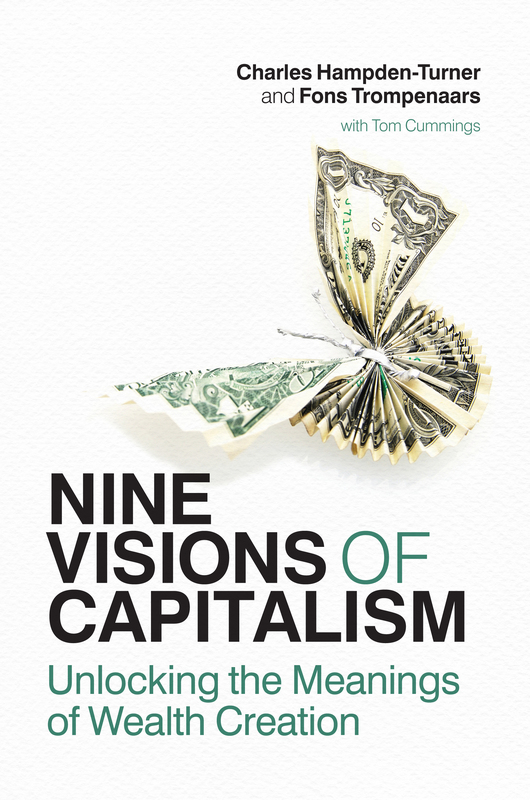 Nine visions of capitalism, by Charles Hampden-Turner and Fons Trompenaars is available in the Infinite Ideas store for £10 (rrp £25), with free postage in the UK (shipping rates to other parts of the world vary). Last week celebrated cross-cultural management guru Fons Trompenaars rose in the influential Thinkers50 global ranking of business thinkers. Trompenaars climbed to 33rd place partly due to his recent book, written with Charles Hampden-Turner, Nine Visions of Capitalism but mainly, according to Stuart Crainer who created Thinkers50 with Des Dearlove in 2001, due to a significant increase in citations of his work during the last two years. Trompenaars’ ideas on cross-cultural development have been published widely in reviews such as Harvard Business Review and Intercultural Management Quarterly but he has also had a major impact with books like 100+ Management Models: How To Understand And Apply The World’s Most Powerful Business Tools, Servant Leadership across cultures and The global M&A tango: How To Reconcile Cultural Differences In Mergers, Acquisitions And Strategic Partnerships. 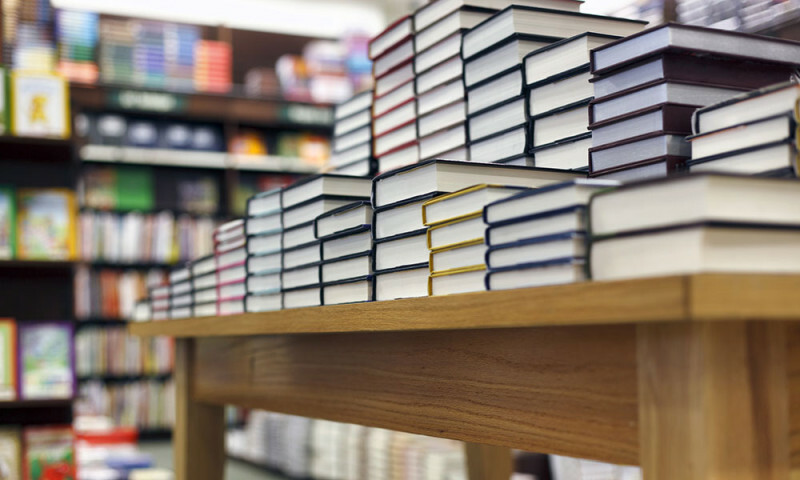 Most of Trompenaars’ books are jointly published by Infinite Ideas in the UK and McGraw-Hill in the US. Trompenaars and his team have developed a unique resource in the cross-cultural and other databases they have developed over thirty years. He adopts a measurement and data-driven approach to benchmark, inform, advise and diagnose client problems and provide practical solutions. He maintains that organizations need stability and growth, long-term and short-term decisions, tradition and innovation, planning and laissez-faire. The challenge is to integrate these opposites, not to select one at the expense of the other. You have to inspire as well as listen, to make decisions yourself but also delegate and you need to centralize your organization around local responsibilities. Trompenaars’ work is unique in that his focus has been to use his research on culture to find reconciliation of differences rather than simply identifying them. John Naisbitt, author of Megatrends, described Nine Visions of Capitalism as “an important and brilliant book. With deep insights on China, it helps us understand a world undergoing extraordinary change.” Trompenaars recently sold his business, Trompenaars Hampden-Turner, to KPMG for an undisclosed sum. It is impossible to calculate the effect of these deep insights in the books and articles on the sale price but it’s fair to say that Trompenaars’ global Thinkers50 ranking which itself depends so heavily on publishing gave it a significant push in the right direction. It’s Super Thursday in the publishing world, which is a bit like Christmas morning for us. We’re off to the bookshops after work to see all the beautiful, colourful covers adorning the tables like waking up and seeing what Santa has brought us. Naturally we already have bookshelves at home heaving with unread tomes and we look forward to adding to the large stacks that we may take to the beach next year. What can we say, we like choice. 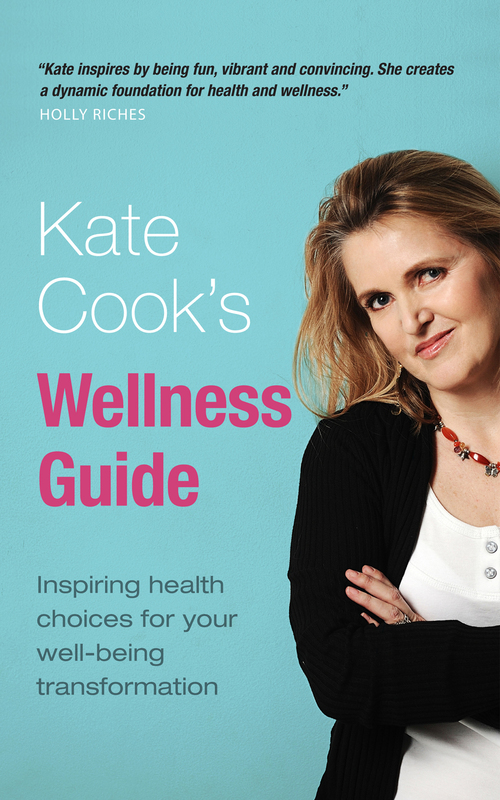 Infinite Ideas does not have a book released this year, however we do have a super exciting Christmas list. 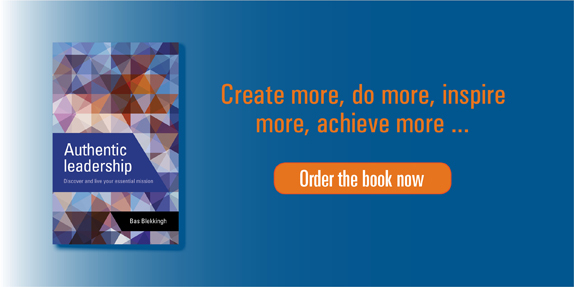 There really is something for everyone from business stocking-fillers, to leadership lessons for the business aficionado in the family. However, the title that we are most excited about is all about Christmas or, more precisely, Yule. 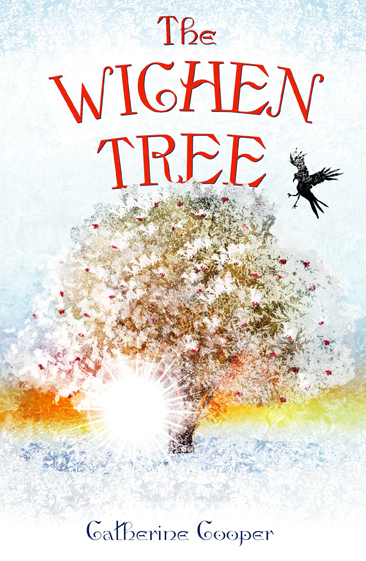 Catherine Cooper’s new book, The Wichen Tree, will be published at the end of November and is another very exciting Jack Brenin adventure. Jack, having grown up in Greece, has never seen snow so this Yule is especially exciting for him as well as coming across many magical creatures and places in the lead up to Christmas. If you’re new to this series, the first book, The Golden Acorn, is available for free on Kindle. There’s just enough time for you to dive into this magical series before the fifth book comes out. We’re nice like that, we thought we’d give you a bit of extra time to get hooked on the series! If you’re already a fan, then there’s still time to put it on your Christmas list and mark it on your calendar as there are just over six weeks until you can get your hands on this great book. As rain hits Britain today and the leaves suicidally fall to the ground, it signifies the end of summer and the final of the Great British Bake Off. We’ve been hooked in the office this year, and I’m sure everyone around the country is waiting with baited breath for the final this evening (that is, unless the world hasn’t ended before then). We’re not going to lie, Nadiya is our favourite contestant, perhaps in the history of bake off. We didn’t think we could find a funnier contestant than Norman but Nadiya has surpassed his wit and she is a much better baker. Nadiya has been star baker three times so far (tied with Ian) so she is in a strong position going into the final. However, her journey there has not been easy. In the beginning, Nadiya struggled with the technical challenges, often coming last or near the bottom. When faced with unknown situations, it can throw us off guard. When we’re out of our comfort zone, having to work with new clients, or having to clear up someone else’s (or your own) blunders, it can be hard to stay cool and get a suitable outcome for your business. Nadiya has, at times, been anything but cool under pressure (the paperclip and soufflé incident from last week, for example) and she has a tendency not to believe that she is capable. However, Nadiya’s creativity and willingness to take risks has got her to the final. As with any strong leader, capability is everything. You can only fake it for so long and, trust us, your employees will know if you are ineffective when it comes to making tough decisions or coping when times get tough. Ian, like Nadiya, is going into this final with three star baker titles to his name. He is competent and able to cope under even the toughest of pressures (and he was the first to receive the Mary Berry wink this season!) However, Ian’s stars were all awarded towards the beginning of the series, he peaked too early it would seem. Either that or his competitors were able to improve quickly and catch up with him. There are also rumours that he has been getting specialist training from a professional chef to up his game (we are not endorsing these rumours, nor are we endorsing Ian to be honest). When you’re competing with your colleagues or other businesses, it is important not to burn out too quickly. Ian’s arrogance is also something that could cost him the title. One of the great things about Bake Off is the camaraderie between the contestants (well, except for bin-gate, but we won’t open that can of worms) and yet Ian seems to have remained a lone ranger in the tent. Perhaps his strategy is to keep his skills to himself, or to remain apart so that he can focus on making his bakes better than anyone else’s. However, when you’re in the ruthless world of business, sometimes buttering up (pun intended) the competition can be beneficial for both parties. Finding a way that both companies can work together and sharing knowledge is not always a bad thing. Though Ian’s chocolate well was a bit, well, anticlimactic, one can’t deny that Ian has great initiative and creativity, demonstrating his ability to make his own cake moulds. Seeing the problem from another angle and knowing what you can bring to the table can be great when leading a team and being familiar your strengths when times are tough can help get you out of a jam. But they could also alienate you among your colleagues, which may lead to mutiny in the ranks. Tamal is our favourite anaesthetist and our second favourite finalist of this year’s Bake Off. Tamal has been the lucky recipient of the Hollywood Handshake (not quite an Oscar!) and is adept at his baking skills. However, Tamal’s weakness is timing. When you’re up against the wall with a particular project, time management is everything. Being a successful leader is about how you manage your employees and delegate to make things work as efficiently as possible. Tamal is this year’s unlikely heartthrob (we wouldn’t say no to one of his vol-au-vents) and has taken it all in his stride. In business, like with everything, there will be peaks and troughs in your success. Tamal never let his successes or disasters go to his head, and he certainly isn’t signing up to be the latest Cosmo centrefold. Being able to juggle his high-pressured job with baking every week and still coming out on top is a skill that we can all learn. Sometimes, though, it’s best to keep things simple. Though we really liked Flora, it was clear that time and again, she didn’t listen to Mary and Paul’s advice and gave herself too much to do. Superiors try to guide you in the right direction and having too much on your plate can be catastrophic for your career and your personal life if not balanced well. Dorret was eliminated in week three after she had scraped through the first two weeks. She was the recipient of the Mary Berry scowl when she confessed one week that she had bought her cookie cutter (rather than make it herself) and the next week that she hadn’t even practiced her bake. Not preparing is essentially, preparing to fail. Showing up is only half the battle, when presenting, working in a team or just working on a solo project, being prepared is key to survival in the cut throat world of business. Whoever wins tonight (go, Nadiya!) it’s definitely been a great series and we have been lucky enough, this year, not to have had too many baking blunders ourselves. There are many lessons we can take away from watching people bake cakes in tents each week, and Infinite Ideas has lots of advice on leadership, management and other ways to run your business. Perhaps you need help on how to Cultivate a cool career or you would like to learn more about Authentic leadership, we have a whole library waiting for you.